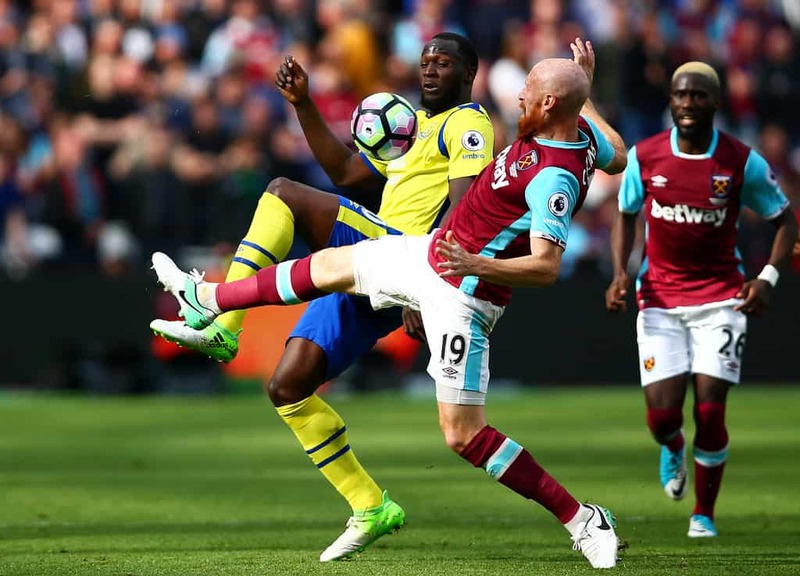 This past weekend, for me and I suspect plenty of others, saw two games of totally contrasting fortunes namely the rather tame and boring West Ham versus Everton encounter and the El Classico – Real Madrid versus Barcelona. 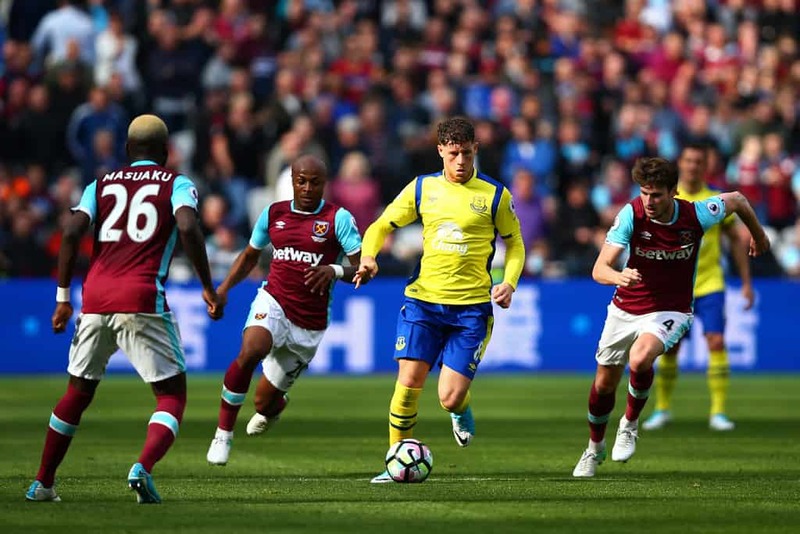 Let’s look at the scenarios… West Ham struggling, out of form and finding life in their new home rather difficult to come to terms with against an Everton side, still with a remote, but tangible chance of finishing in the top four. Outcome, a listless, boring, tedious, drab 0-0 draw with barely a decent effort on goal from either side and just one, repeat one from the side with surely the greater incentive – Everton. Meanwhile in Spain, Real Madrid top of the table and fresh from progressing to the semi-finals of the Champions League against Barcelona, who’d been eliminated from the same competition by virtue of a masterclass in how to defend afforded them by Juventus. Outcome, a superb exhibition of hard work, desire, a willingness to overcome adversity and a thrilling finale – indeed, a classic. Now you don’t need to be a rocket scientist to know and accept that both Real and Barca are by some margin, a cut above the vast majority of the footballing world, but the point of this missive is to highlight the work rate, desire and sheer will to succeed… and in particular of one man – Lionel Messi. Go back to Wednesday’s game against Juventus and Messi worked his socks off to try and haul Barcelone back from a three-goal first leg deficit, but the quite outstanding Juve defence was having none of it, even Messi couldn’t break them down. Bear in mind too, that during first half, Messi had taken a heavy fall that saw him land on his face and incur bruising around his left eye. Yet barely 96 hours later he was up and ready to take on Real in the Bernabeu. He hadn’t scored in a Madrid El Classico for six games and Barca were behind in the chase for the La Liga title. Real took the lead through a dubiously offside goal before a key incident. Messi and Marcelo leapt for a header and the Madrid defender, deliberately or otherwise caught the Argentinian with his elbow and Messi went down clutching his face. Was he fawning injury, was he fairy cakes. As he picked himself up blood and lots of it oozed from a facial injury and he needed treatment. For many players, this might have been the end of their game. Messi though, didn’t whinge or whine, he took his treatment and a wad of tissues and got back on with the game. Probably incensed at the incident, he chose to take out his anger and vengeance on Real Madrid. A smashing move saw his dance into the Real area after an exchange of passes and his unerring left foot drive levelled the score. The second half was a Messi masterclass. He worked his socks off, linking with his team mates endlessly and tirelessly, harrassing the Madrid midfield to distraction and probing the defence constantly, looking for the weaknesses to pounce upon. Barca duly took a second half lead and Madrid began to fray at the edges, the unravelling caused largely by the sheer work rate and determination of the man clutching his tissues and wiping his wound. Messi was in full-on best player in the world mode. Sergio Ramos saw red and Barca appeared home and dry, but this was El Classico and the home side fought back and with less than five minutes to play James Rodriguez, the often forgotten man of Los Galacticos beat Ter Stegen to rescue a point… hang on, don’t forget Messi. Into added on time and Barca win the ball deep in their own half. A break of lightning speed, power and precision passing sees the Catalan side race the length of the pitch with Messi arriving at the perfect time in the perfect place to plant a perfect left-footed curling shot into the net. Even Messi knew that he’d been just a bit special as he removed his shirt and displayed his name to the crowd. He got booked. He should have been chaired off the pitch. He’d been quite simply the best of the best in a game that featured so many great players. Contrast the work rate, desire, and will to win of Messi against some of the Everton side that took to the pitch against West Ham – there can be utterly no comparison. Players far too often talk the talk and either can’t or have no real idea of how to walk the walk. 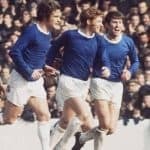 Players – and let’s be brutally honest now – like Romelu Lukaku, talk about wanting to play in the Champions League; some feel they have almost a divine right to do so on the back of some fine form. Well, they don’t have any such divine right. They have and need to earn it. You can have all the skill and physical attributes in the world, but if you lack the work rate and desire to get to the top, you won’t. 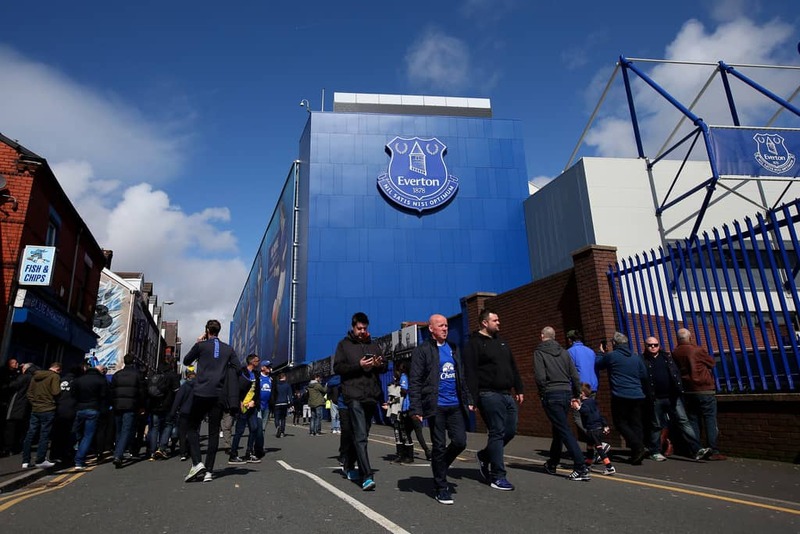 The Everton motto is Nil Satis Nisi Optimum – nothing but the best. If over the past 48 hours you can find anyone better than Lionel Messi to fit that billing, I’d be delighted to learn who it is. I offer you one instance from Saturday when, second half, Mason Holgate put in arguably the best cross of the afternoon, right into the danger area where Rom was waiting… and we waited, we wait still… for a leap and a challenge to win the ball and score. It simply was not there. I found myself thinking… if that had been Alec Young, he’d have wiped a bead of perspiration from his brow – Alec perspired, he didn’t sweat like mere mortals do – and he’d have caressed the ball with his forehead beyond Adrian in the West Ham goal. Fred Pickering, Joe Royle, Bob Latchford, Graeme Sharp, Duncan Ferguson, even Gary Lineker and certainly Tim Cahill ahead of flattening the nearest corner flag with a right hook, they would all have buried the chance. Andy Gray would have probably waited till the ball dropped to knee height before launching himself amidst the flailing boots to score. What did we see from Romelu Lukaku, well I’m not quite sure how to describe it but, it sure as eggs is eggs was not the attempt of a man desperate to score, earn his side victory and keep them in the hunt for a Champions League place. You may suspect that I’m fuming, and you would not be far wrong. I like Lukaku, I really, really do and some of the goals he’s scored during his time with Everton have been quite exceptional, but and it’s a big but… he thinks he should be playing Champions League right now but he hasn’t yet earned it. He talks lucidly and eloquently about ‘working hard to be the best player I can be’ – laudable sentiments, but actions need to speak more and louder than mere words. He’s 23 and with a glorious future ahead of him if he applies himself better than he did on Saturday and if he earns and has that glorious future with Everton rather than seeking it being handed him on a plate by a mega-money move elsewhere, then nobody will be more pleased than me. Messi is 29 and has been lauded as the best player – arguably with Ronaldo – in the world for maybe five years if not longer… and his work rate, desire and will to win are as prevalent and strong today as when he first appeared on the footballing scene. This isn’t about Romelu Lukaku being anything like the all-round player that Lionel Messi is – it’s about having the same level of work rate, desire, committment, and will to win. Lukaku talks about being the best and right now, comes up short of the mark. Messi does his talking on the pitch – being the best.